getcalc.com's Basic & Average Growth Rate Calculator is an online finance tool to calculate the percentage rate at which a particular share, stock, business, economy or price of product grows. 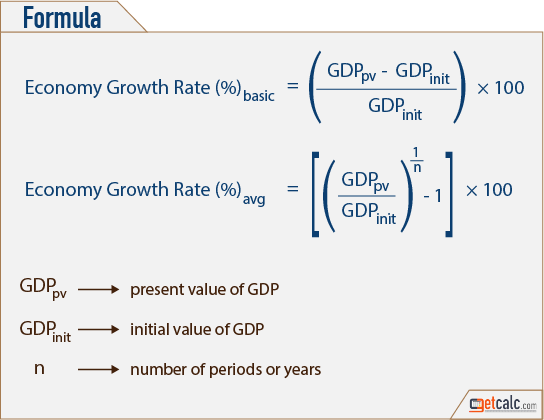 Growth Rate is a mathematical function or method used in the context of finance, represents the rate at which a particular share, stock, business, economy or price of product grows, generally expressed in percentage. 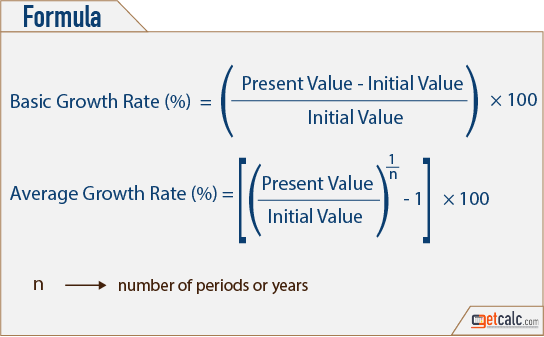 The Basic Growth Rate represents the growth rate percentage between one period to another, whereas an Average Growth Rate represents growth rate for the multiple time periods, each containing the same length of time.